At Photokina last year, we covered the “launch” of the Panasonic Lumix DC-GH5. 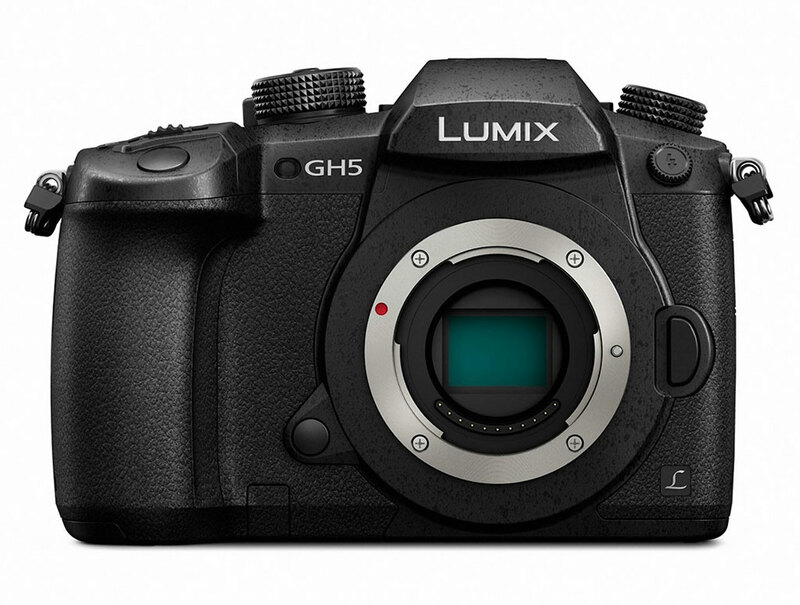 The company really teased the camera more than it launched it (hence the quotation marks), but today at CES, Panasonic released the specs of the intriguing GH5, in addition to its ship date and price. The compact camera houses a 20.3-megapixel sensor that’s designed without an optical low-pass filter. A low-pass filter is used to reduce the effect of moire patterns, but the processing power of most cameras allows for moire reduction to be done computationally, and removing the filter adds sharpness. The weatherproof body has a five-axis stabilization system, dual card slots and a 3.2” LCD touch screen. The new 6K photo function allows the camera to capture at 30 fps and then plug in the best frame from the first set of images. The resulting files are about 18 megapixels. At Photokina, Panasonic pointed out that the internal processing will prevent artifacting when capturing stills from video. The camera can capture images up to 12 fps with focus locked and 9 fps with continuous AF enabled. Panasonic’s cameras are particularly popular with video creatives, and the DC-GH5 won’t disappoint them. The new camera captures 5K video 60P with 4:2:2 at 10-bits, and uses the full sensor. There’s a huge array of professional video features, including multiple video modes such as MP4, AVCHD and MOV, Cinelike D and Cinelike V, and a longer format for higher-fidelity recording. The camera also comes with a waveform monitor and vectorscope built in, and uses an SMPTE timecode to make it easier to synchronize video footage across different sources. The camera has built-in Bluetooth 4.2 in Wi-Fi and uses Pansonic’s sharing app to transmit images from mobile devices. The GH5 is compatible with a new battery group that allows the camera to work with two batteries, one in the camera and one in the grip. Panasonic also announced a new microphone adapter, the DMW -XLR1, which allows for XLR mic connections. The Lumix DC-GH5 will cost $2,000 and will ship in March. Las Vegas, NV (January 4, 2017) – Panasonic has today announced the LUMIX GH5, the latest flagship model of LUMIX G DSLM cameras based on the Micro Four Thirds system standard. The new camera delivers a high-end, hybrid performance to photo enthusiasts and professional videographers looking to capture moments in 4K 60p/50p video and 6K PHOTO. With the LUMIX GH5, the signal readout speed has been accelerated by max 1.7x in the new Digital Live MOS Sensor, and the new Venus Engine processes signals at max 1.3x higher speed. This synergy realizes 4K 60p/50p ultra high-definition, smooth, video recording for the first time in a DSLM camera. It is also capable of internal 4:2:2 / 10-bit video recording, which is the color subsampling commonly used for film production, for even more faithful color reproduction. The LUMIX GH5 comes with a newly improved Depth from Defocus and Contrast AF technology, which not only calculates the distance to the subject by evaluating two images with different sharpness levels, but also analyzes the form, size and even motion of the subject comprehensively. Thanks to the new Venus Engine, the time for measuring the distance to the subject is 6x faster, while factoring the distance into in-plane or in-depth is 2x faster. The speed of sensor drive during auto focusing in photo shooting mode has been increased to 480 fps, which is 2x faster than that of the GH4. Consequently, the LUMIX GH5 realizes ultra-high-speed AF of approximately 0.05 sec  and 12 (AFS) / 9 (AFC) fps high-speed burst shooting using a mechanical shutter in full resolution. By analyzing every single frame precisely, it achieves a maximum 200% higher precision frame detection with minimum motion detection error for higher tracking tolerance against moving subjects. If focus is not exactly as the user intended when the shutter is pressed, the LUMIX GH5’s Post Focus function  enables users to select the specific focus point even after shooting – particularly helpful in situations like macro shooting where severe focusing is required. In addition, the camera also features a Focus Stacking function. Taking a single macro photo with specific areas in focus can sometimes be difficult, Focus Stacking enables users to take multiple images of the same frame with different focus points. You can then combine them into one image with the defocus as you like.